Shoaib Malik has just become the fourth batsman, after Chris Gayle, Brendon McCullum and Kieron Pollard, to breach the 8000-run barrier in Twenty20 matches. 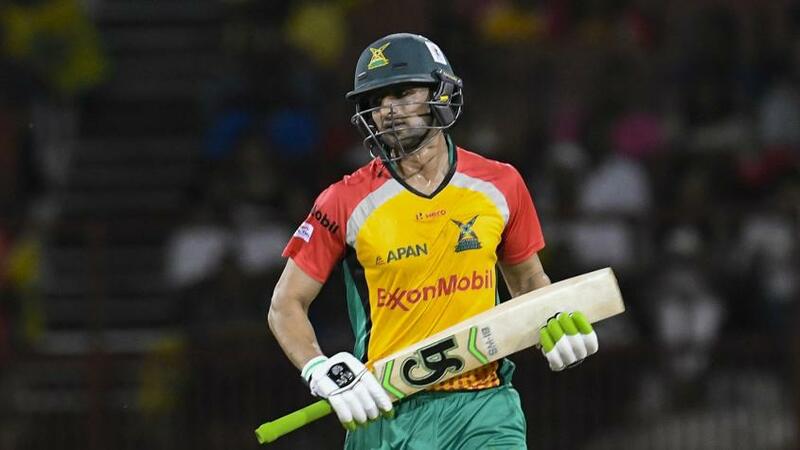 When he hit Ashley Nurse for a four to third man in Guyana Amazon Warriors’ Caribbean Premier League 2018 game against Barbados Tridents on Sunday, 12 August, Malik joined an elite group of outstanding T20 batsmen to reach the milestone. Malik went on to score 38 as Guyana lost by 30 runs, their first loss in the competition after two wins. Gayle, the pre-eminent short-format batsman in the game, former New Zealand captain Brendon McCullum, and Trinidadian all-rounder Kieron Pollard are the ones to have reached the landmark before Malik. Gayle is well ahead of the rest of the pack, having crossed 9000, 10,000 and 11,000 runs in the format and showing no signs of slowing down much, while McCullum and Pollard are as active in the T20 league circuit as Malik is. The achievement of Malik and, especially, Pollard is quite remarkable, as they have never been opening batsmen. Malik has been a No.4-No.5 batsman for much of his T20 career, while Pollard has usually batted even lower. As a result, neither of them has a century in the format even though Malik got within one shot of it when he scored 95* in a match for Sialkot Stallions against Peshawar in Pakistan’s Super8 T20 Cup in May 2015. Malik is also one of only five batsmen to have scored over 2000 runs in T20 Internationals, and is third on the list of highest scorers with 2121 runs, behind Martin Guptill (2271) and McCullum (2140).